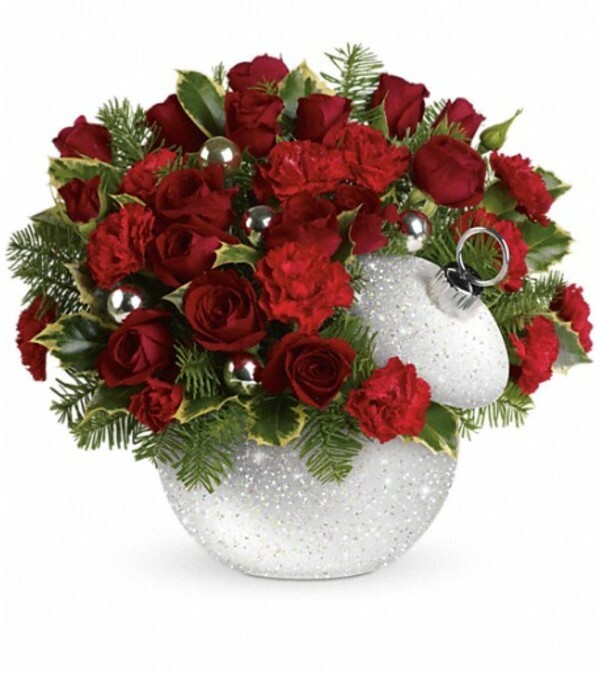 Dazzle and delight with red roses and carnations presented in our fabulous iridescent and silver-glitter-covered Shimmering Snow ornament jar. 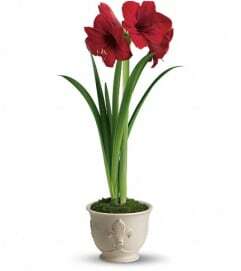 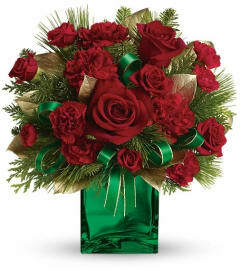 Red roses and red miniature carnations are accented with tips of holly and noble fir. 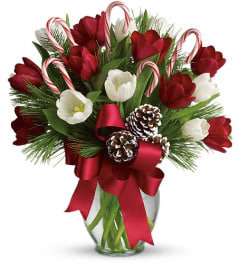 Delivered in a glitter-covered Shimmering Snow ornament jar.